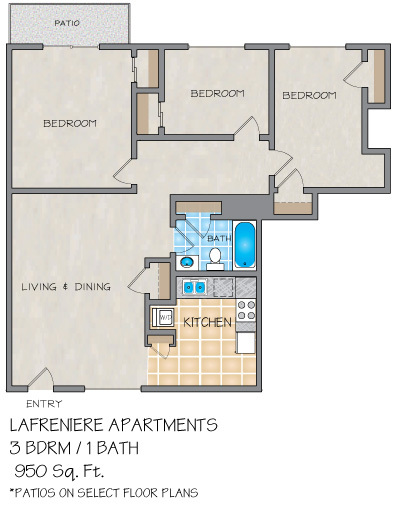 Please send me more information about Lafreniere Apartments. Lafreniere Apartment homes is a peaceful Metairie, La apartment community located at the main entrance of Lafreniere Park, a 155 acre park containing a jogging path, lake, dog park, splash park and more. Located right off of Veterans Boulevard, Lafreniere Apartments provide convenience to Interstate-10, New Orleans Armstrong International Airport, Downtown New Orleans, several shopping malls, various food markets, and many local restaurants. Lafreniere Apartments in Metairie, LA offers you access gates with a lavishly landscaped courtyard, garden trellis, and a glistening swimming pool. 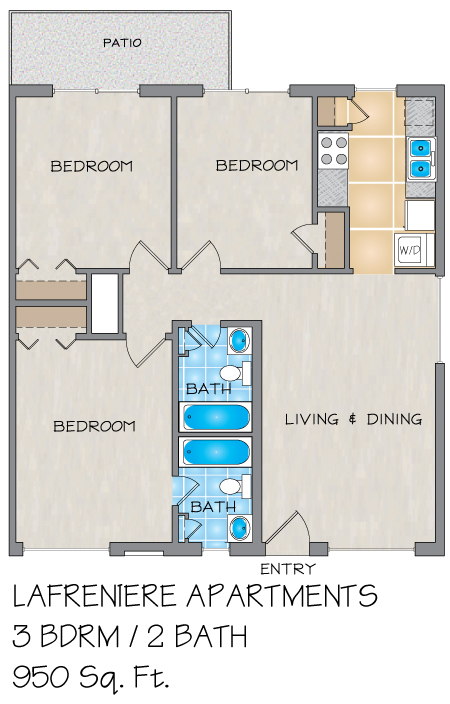 The large one and two bedroom apartments are available to rent unfurnished or as furnished corporate apartments. 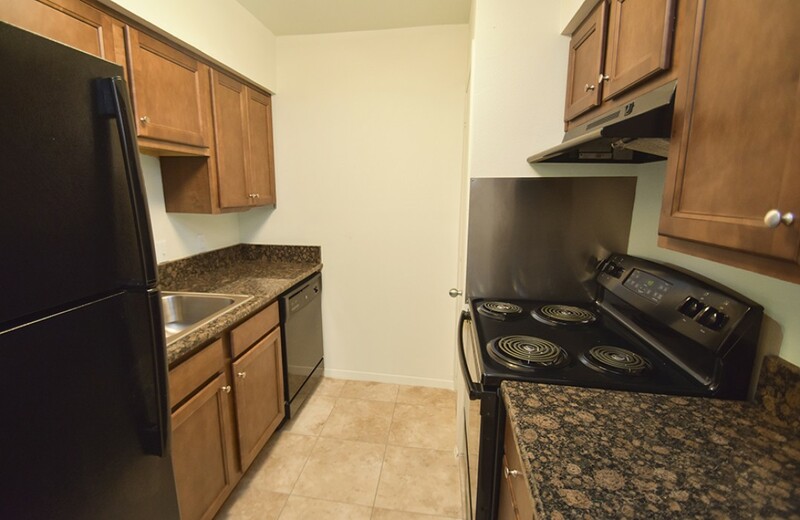 Featuring fully-equipped spacious kitchens with updated appliances, ceiling fans, pantries, picture windows, vertical-blinds, and washers and dryers. 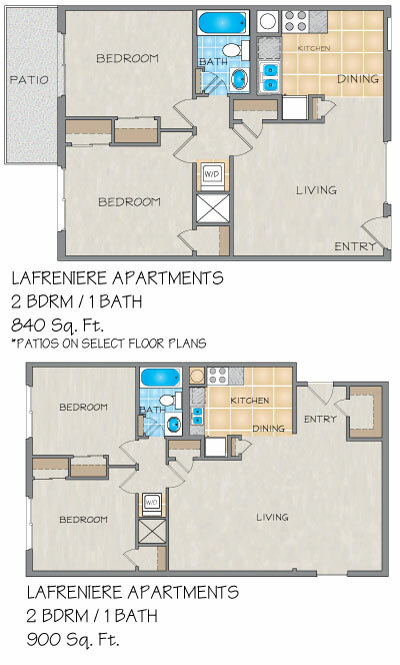 The Lafreniere has the best apartment homes around. My wife and I moved to Breckenridge in December 2013 from Albany N.Y. Before we moved we had shopped around for several months for a safe and reputable place to relocate. After an extensive search we came across First Lake Properties, and after some more research found them to be the best choice. We still reside at Breckenridge Apartments and are happy with our stay here thus far. Nice place to live. Staff is attentive. Quality of service is excellent. I lived at Lafreniere in 2010 and loved it. It's pretty quiet and it's a small complex but there is a washer and dryer and good sized living room. The office staff is always friendly and will take care of everything you need and the maintenance was done the 2 or 3 times we needed it. Not a lot of parking but it's enough. I love the fact that Breckenridge is so close to the park! And the staff is amazing! Love my Lafreniere/Breckenridge apartment!! It is my home, not just an apartment. The office staff and maintenance team are wonderful and quick to respond to requests, concerns, and/or comments. 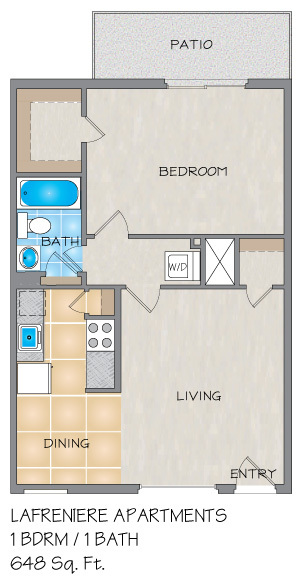 The layout is great and very spacious. The landscaping team is awesome although it seems tough to maneuver these yards due to settling uneven ground. I feel very safe in this place and I trust the management team as if they were my family. I'm so happy to call this my home. Lafreniere is a great place to live. It is safe, relaxing, and comfortable and worth the money. I have been living here for two years now and I'm totally pleased and happy with the staff. They are extremely helpful and never failed on fixing anything that is needed. I would recommend this place to anyone. I've been living here for almost 2 years now. the staff are friendly. the maintenance is prompt and on time. outside area is clean and usually quiet. there are no trouble makers living here ! and this complex is just by the I10 which makes it a perfect spot for daily commute. the best thing about being here is having washer and dryer inside the apartment. it's worth a lot ! This apartment complex is a nice place to live. It's only got a handful of apartments so it is always really quiet. All the neighbors are kind and I enjoy living here. The office staff is helpful nice as well. Any time I need something, they're always there to assist me. It's reasonably priced and the location is awesome. There is a suburban feel here, yet it is close enough to the highway that it is no trouble to get where you need to go. The apartment complex is also right next to Lafreniere Park. Great place to play and hang out. I've lived here almost a year and I've enjoyed my entire stay at this apartment. Hi, my name is Miguel Marrero and I just want to say that my experience with 1st Lake Properties/ Breckenridge Apartments was really a wonderful experience. They were so nice to me and did everything in they're power to welcome me into the neighborhood. I dealt with two young ladies by the names of Monica and Gaynell. These two young ladies helped me from start to finished and were the two sweetest people I've ever came across in a very long time when it came down to dealing with my apartment hunting... I would 100% recommend The Lafrenieres Apartment Leasing office to everyone I know and tell them about the service I receive during this process. Service is good and available at most time. The officers are nice, too.